At the time this post is written, we will have to wait another 158 days before we witness Corvette Racing on the track once again. A grueling 2010 season is behind the Corvette Racing team, a season that was full of accidents and self destructive mishaps. Nevertheless, there is surely a good taste left in their mouths from their fantastic victory of the season finale. The GT Class of 10-hour Petit Le Mans was won on a final lap thriller by driver Oliver Gavin in the No.4 Compuware C6.R, passing Risi Competizione’s Toni Vilander in the final hundred feet as his F430 GT stalled out due to an empty gas tank. A thriller, indeed. Yet, this was the only first-place finish for Corvette Racing’s 2010 season. Many will look back at the season and remember the missed opportunities. The pit-road collision at Sebring, the engine failures at the 24 hours of Le Mans, and the halted race at Mosport. But that’s racing. The team experienced several speed bumps in their inaugural season in the GT2 race class, but will walk away with the knowledge on how to have an even better season next year. 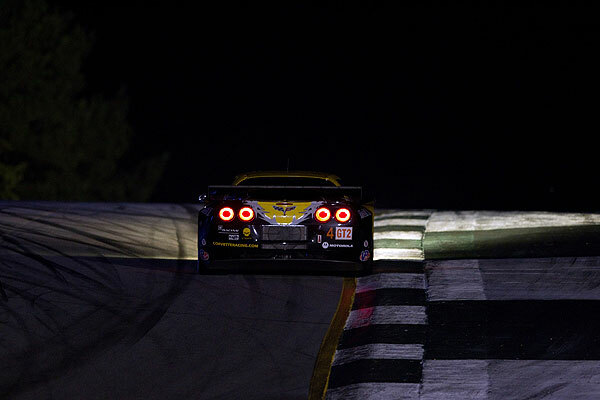 For more on Corvette Racing and the victory, check out their website here.